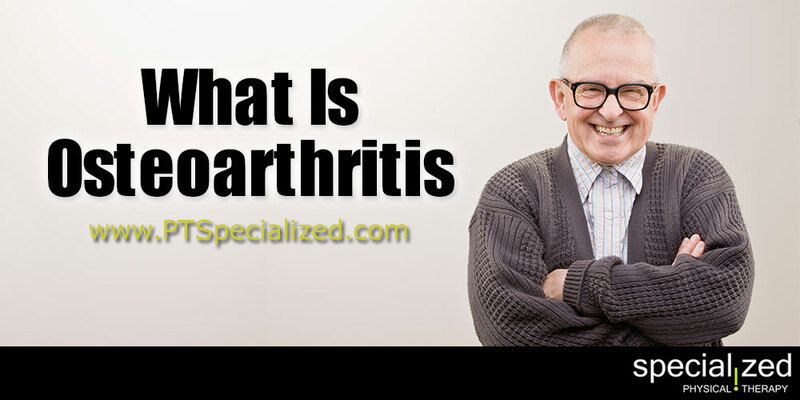 Many people talk about having arthritis, but there are different kinds of arthritis. Osteoarthritis (“OA”) is the most common form of arthritis. It affects people as they age, and in those over 60 years old about 10% of males and 18% of females are affected. Before 45 years of age it is more common in men, while after 45 years of age it is more common in women. It becomes more common in both sexes as people become older. No matter who has it, the pain can be debilitating. It breaks down the joint cartilage and the underlying bone. It causes joint pain and stiffness, and later swelling and a decreasing range of motion. When OA affects the back there is also weakness and numbness in the arms and legs, but it more commonly affects the joints near the ends of the fingers, at the base of the thumb, neck, lower back, knees, and hips, and tend to affect one side of the body more than the other. They include things like previous joint injury, abnormal joint or limb development, and genetics. The risks are greater if you’re overweight or have work or activities that cause high levels of stress on your joints. OA is thought to be caused by mechanical stress on the joint and low grade inflammatory processes and as it develops cartilage deteriorates affecting the underlying bone. Then the pain causes it hard to exercise so inevitably there is muscle loss too. It is treated with physical therapy, NSAIDS, anti-inflammatory or other pain medication, and exercise. Sometimes joint replacement surgery is helpful, but that is a short term fix. When symptoms start the best treatment is to stay active. Review all the options and decide the best course of treatment for you. If you would like to find out how physical therapy can help your Osteoarthritis, contact us for a FREE Pain Consultation today!